The Cymeon Cognitive OnLine Laboratory, designed by Professor Chris J Jackson, is a research resource for psychologists and other academic researchers. Many researchers also add their own modules to tailor the online laboratory to their own needs. Data are output as a csv text file for easy import into SPSS etc. Jackson, C. J. (2010). 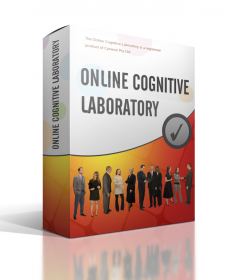 Introducing the YWeDo online cognitive laboratory. In Boag, S. & Tiliopoulos, N. Personality and Individual Differences: Theory, Assessment, and Application.New York: Nova.